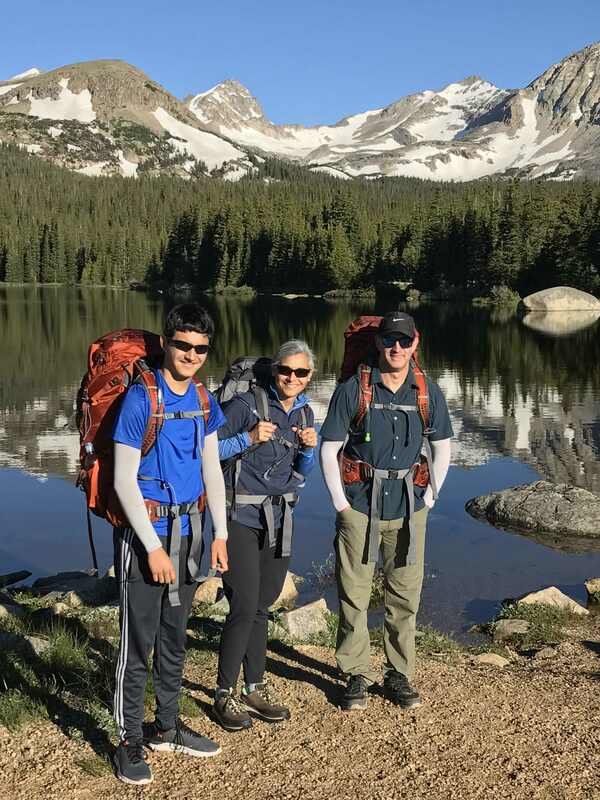 This past weekend my family and I attempted to hike from Brainard Lake over Pawnee Pass and the Continental Divide down to Crater Lake, camp overnight, and then head next morning down to Monarch Lake. But within feet of the parking lot we realized snow was going to be an issue. We had a huge late spring snowstorm in May, and would therefore have deep drifts much later than normal. 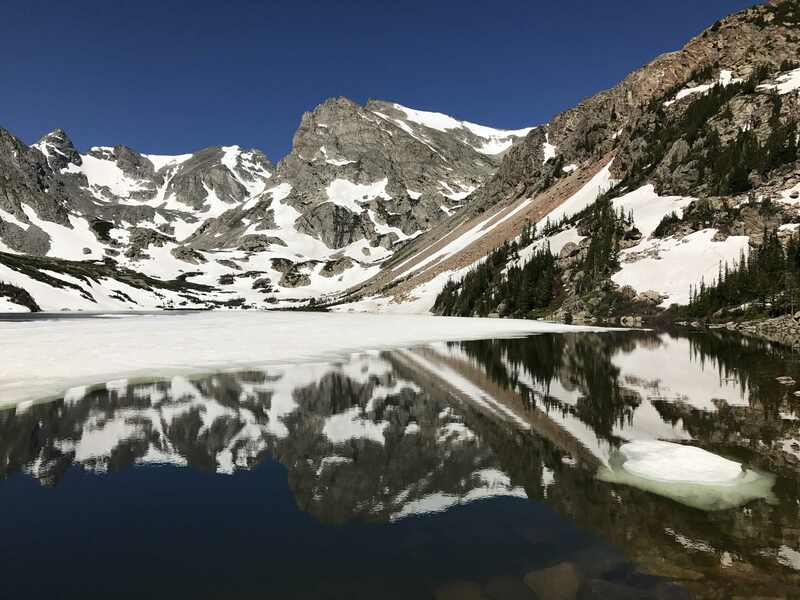 So, we turned it into an out-an-back up to Lake Isabelle below the Isabelle glacier. After a few days of low lying clouds we had a crystal clear day. 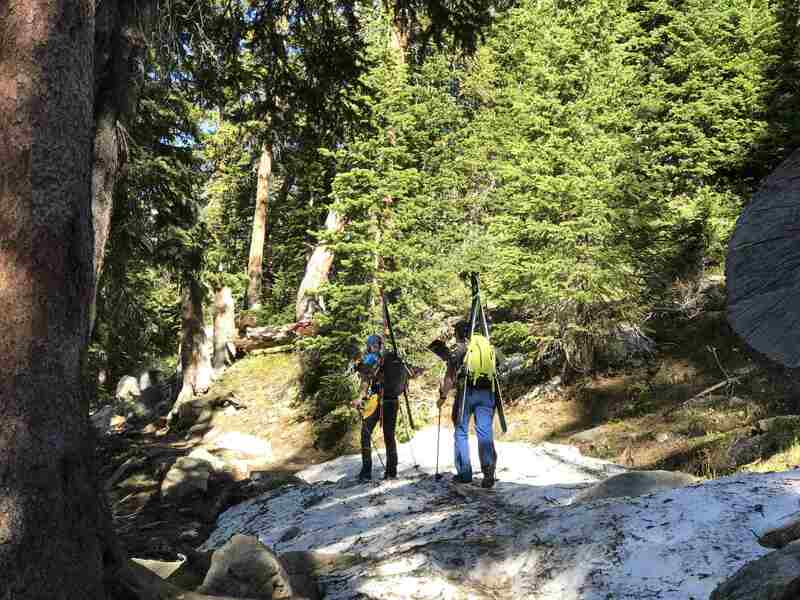 But the snow pack was deep in the trees. I thought it would thin out as we headed to more exposed areas. Nope. We were passed by a few guys going up to ski and snowboard Isabelle Glacier. Finally, we got to the lake. It was spectacularly beautiful in the bright morning sun and deep snow. 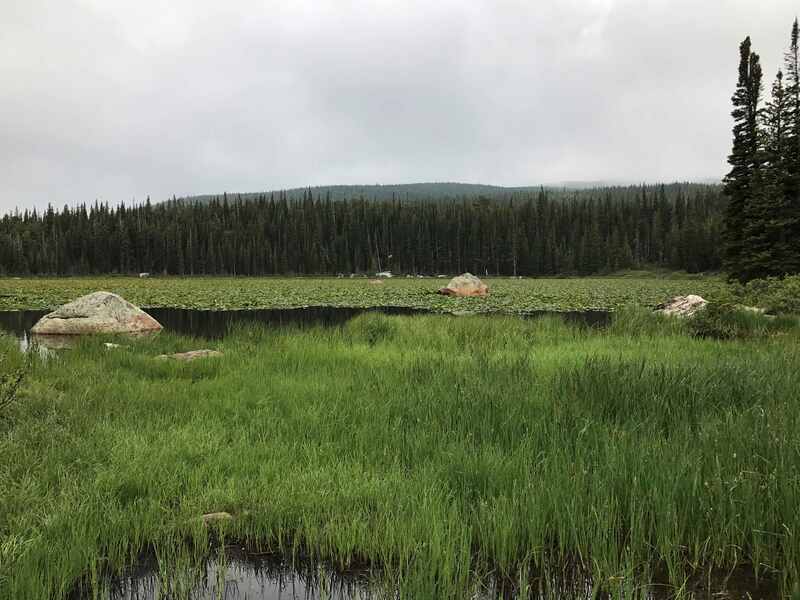 When we returned to the Brainard Lake, clouds started to move in, but we got a look at a few moose noshing. And the wildflowers are starting to hit. The next morning I awoke around 5:30 with the sun up, and could already feel the heat. We were at the start of a record setting heat wave in the west, and so Kyle and I decided to abandon our Little Scraggy loop, which has a lot of sun exposure through the burn area, and just head back to Waterton Canyon and the comfort of air conditioning. We made the right call considering this tragic story. First, we set off to take pics in the bright early sun of the crushed old vehicles in the quartz quarry. how did they get a truck up here? The area has huge quartz deposits all over the place. As we ascended, the heat became more oppressive, and we had to take quite a few breaks. Finally we got back into the forest, and bombed down. And of course, I hit something and started to bleed. Just a minor flesh wound. We then entered Waterton Canyon, and as we descended, I thought about turning off the GoPro, but then decided “Eh, it’s just disk space.” And I’m glad I didn’t, because we got what I had hoped for – at first a single bighorn sheep lamb, and then a cluster of three walking along the road. Be sure to check the video out for how the sheep gets out of the gated lawn. I hope to come back in the fall to see these guys like this. We got to the parking lot around 2pm, and it was 100 degrees in the car! We are considering doing this segment as early as 5am when we start the full trail on July 5th. Since we got new bikes last week, I wanted to get out and do a big training ride to work out any kinks. New bikes always have minor issues, including bolts that loosen, cables that stretch, etc. 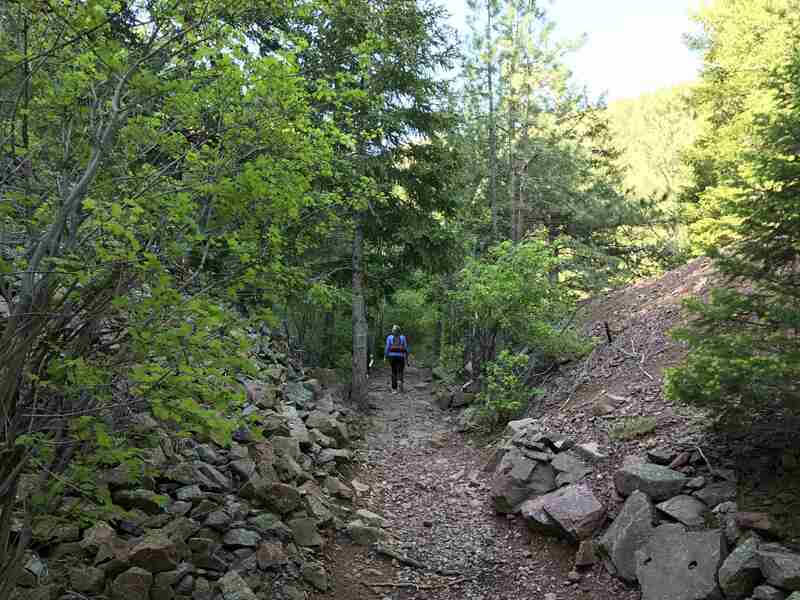 We decided to do the first segment of the Colorado Trail from Waterton Canyon up to an old rock quarry above the South Platte River. 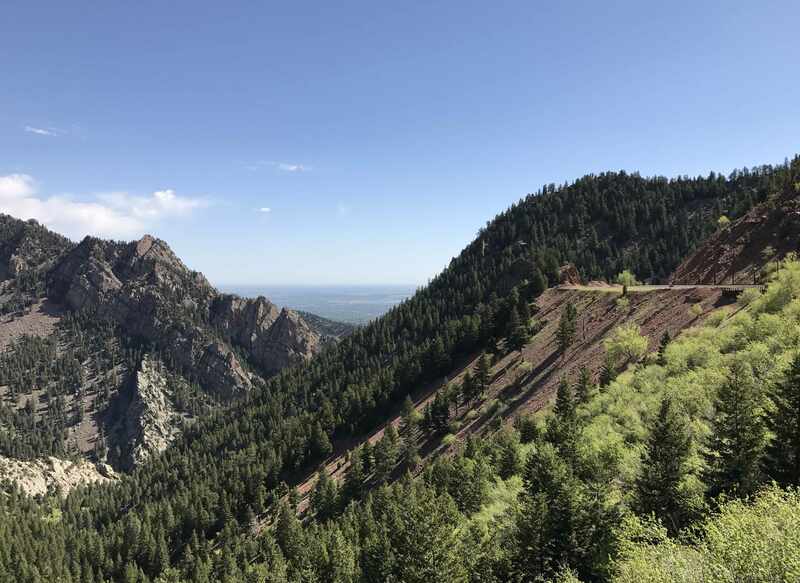 When we officially start the trail on the 5th of July, we’ll take an alternative start which is a bit higher in elevation, takes some distance off the first segment, and is more bike friendly with sweet singletrack. 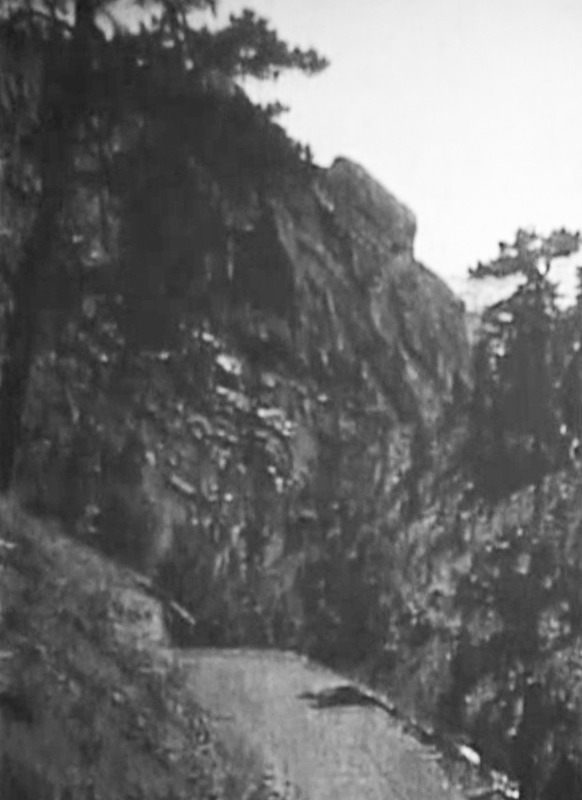 But I had heard that the ride up Waterton was quite pretty, and if we were lucky, we’d see bighorn sheep that call the canyon home. 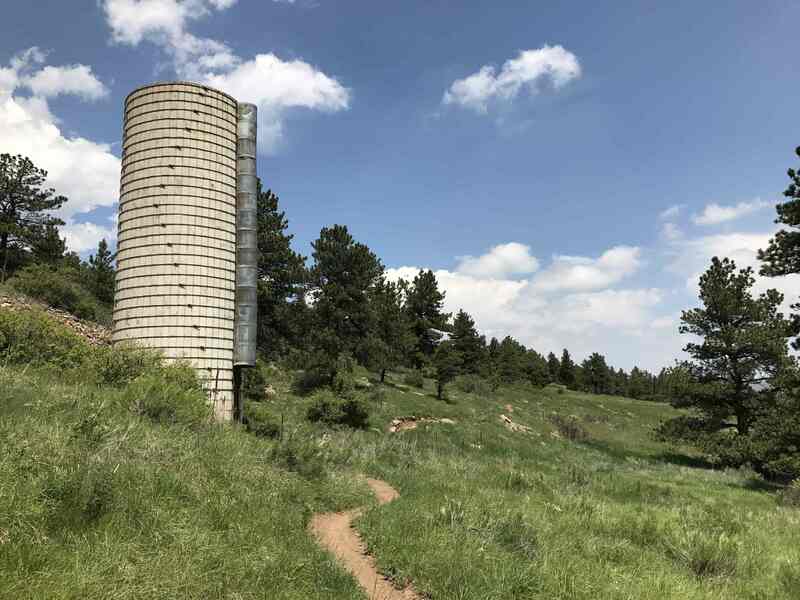 The initial ride from the parking lot is a gently inclining road that hugs the South Platte river for several miles. This river is a major source of water for the Denver metro area, and as you climb you pass the Marston Diversion Dam. At six miles you pass the Strontia Springs Dam, set back from the main road and protected by gate. It’s a cool looking structure, over 240 feet high with water flying out of the base of the dam. 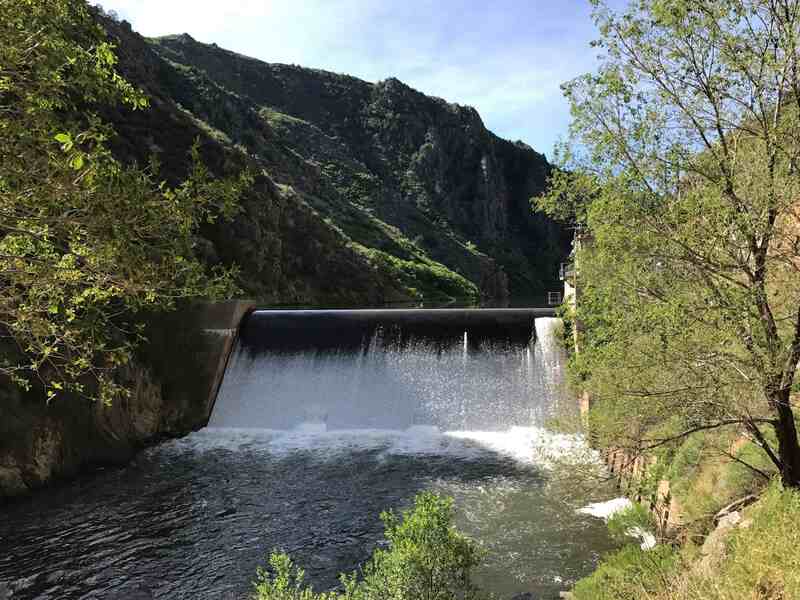 The dam was completed in 1983 and is the exit point for the 7700 acre Strontia Springs Reservoir. At this point the road thins out and starts a steeper climb. And then the road becomes a real trail. As we got going on the trail, we were pleased with how the bikes rode, as well as our fitness level. Kyle specifically noted that “This is easier than the Kokopelli,” which was music to my ears – our increased training since March was paying off. Another improvement over the Kokopelli was finding water at several places along the trail. We stopped at a few creeks to refill our bags, and to take pictures of waterfalls. I read there was a fair amount of “hike-a-bike” along this section. 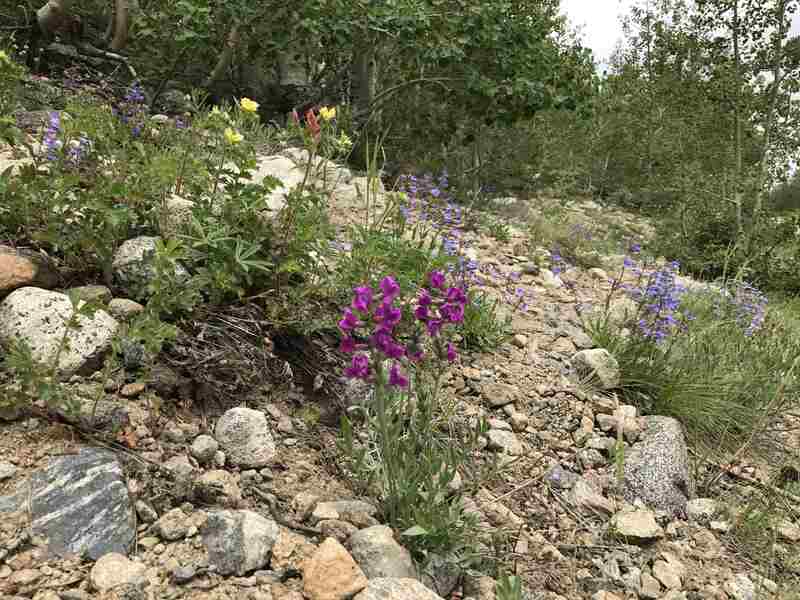 As we ascended, the wildflowers start to show up. The columbines in particular were plentiful. As the day warmed, the scent of pine became really intense. Sure enough as we got near the summit Kyle’s bike started to act funky. The bolt which binds the derailleur cable to the bike had come loose, and the cable got wound up in the derailleur. We pulled over and using our trusty built-in Stumpjumper toolset, were able to get it back in place and get 10 out of the 11 gears working. Kyle groused a bit about not having the 11th, which is admittedly the most important big ring for climbing, but dealt with it. A big part of this ride is learning how to deal with adversity. We got on our way, and as we got to the top we were treated to great views. 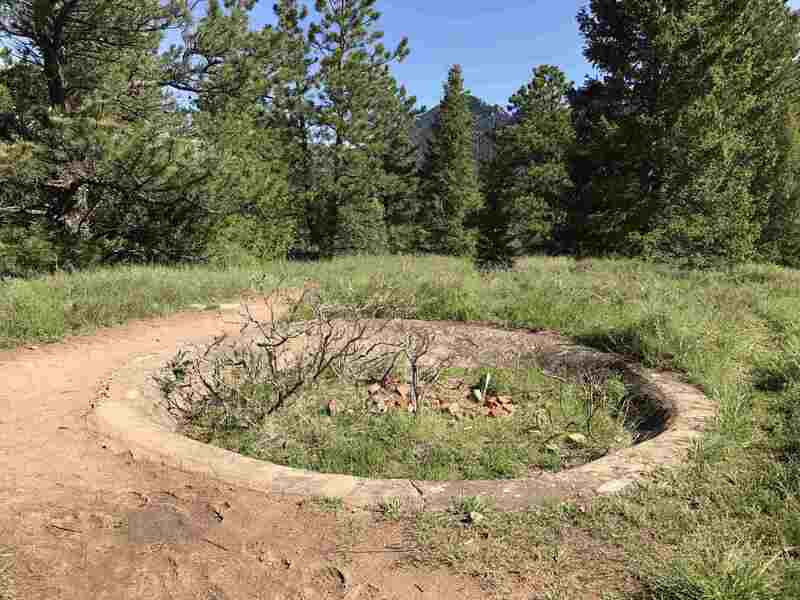 From this point, we had a fun steep technical section of switchbacks down to the South Platte. At the river, we crossed over the river and parked on a bank. There we refilled water, washed socks and bandannas, and just hung out for a few hours. Finally, we fired up the stove and had our ‘slop bag’ dinner. Eat it up, yum! After dinner we packed up, and began climbing up to the rock quarry. At about 7pm we arrived, and were quite pleased with the spot. We put up the Z-Packs tent with no issue. I love how easy the thing is to set up. We got out of our bike clothes and into our thermals, and by 9:30 we were out. The next morning we needed to decide whether or not we’d go onto Buffalo Creek and do the Little Scraggy loop. 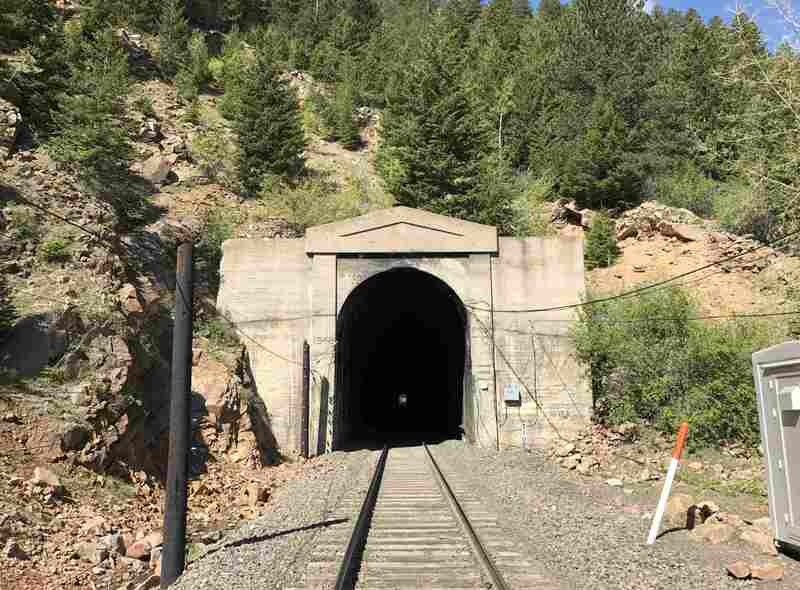 The Colorado Trail Foundation cares for the 500 mile trail that travels through the state between Denver and Durango. I will bikepack the trail with my 16 year old son Kyle next month, and I am riding on behalf of my Dad whose Parkinsons is worsening. Kyle and I are photographers and will be filming both still photos and high definition video over the course of several weeks. 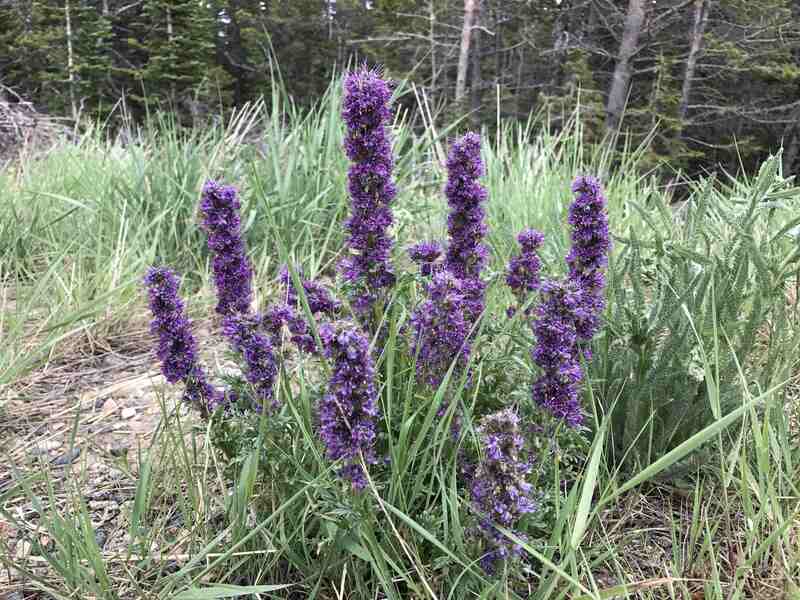 We hope to capture the incredible mountain flowers that will be at peak and maybe even a bear or moose along the way. The Foundation is a 501(c)(3) nonprofit organization funded almost entirely by private contributions. 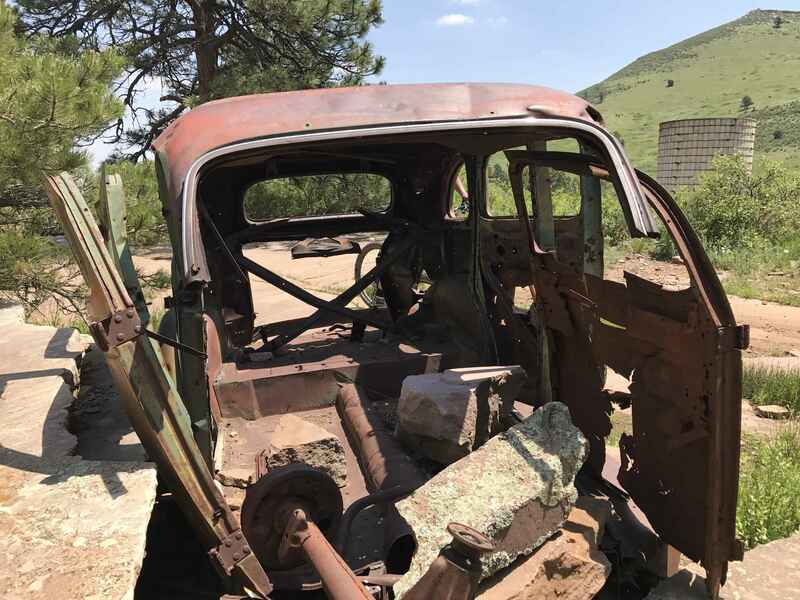 We hope to raise money for them so that they can build a new Field Operations center in Poncha Springs, CO.
We will share a collection of photos and edited video with the top 5 donations, and will contribute $250 of our own to the foundation. 100% of all donations will go to the foundation; nothing comes to me. To donate, please see my GoFundMe page. And check the blog next month for status updates. 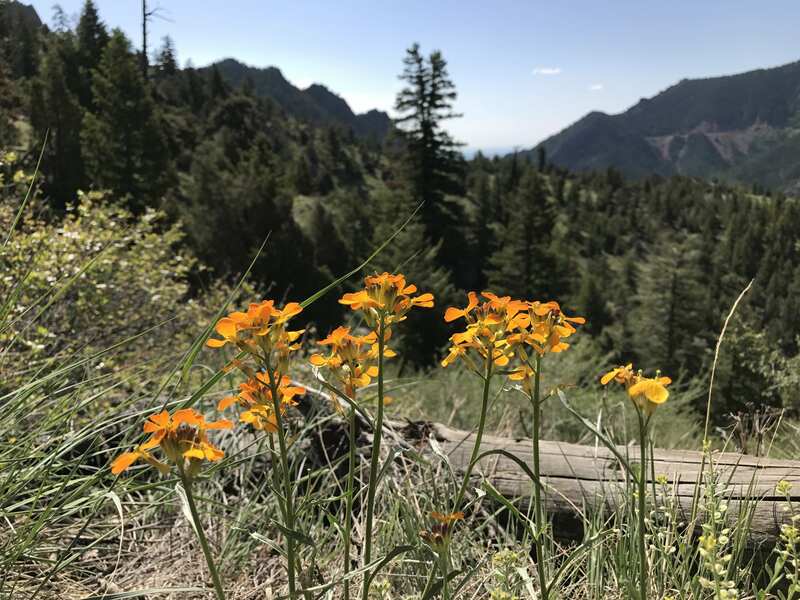 The Rattlesnake Gulch trail in Eldorado Canyon offers great views of the canyon entrance and Denver in the background to the east, the Continental Divide and peaks to the west, and the ruins of the Crags Hotel. 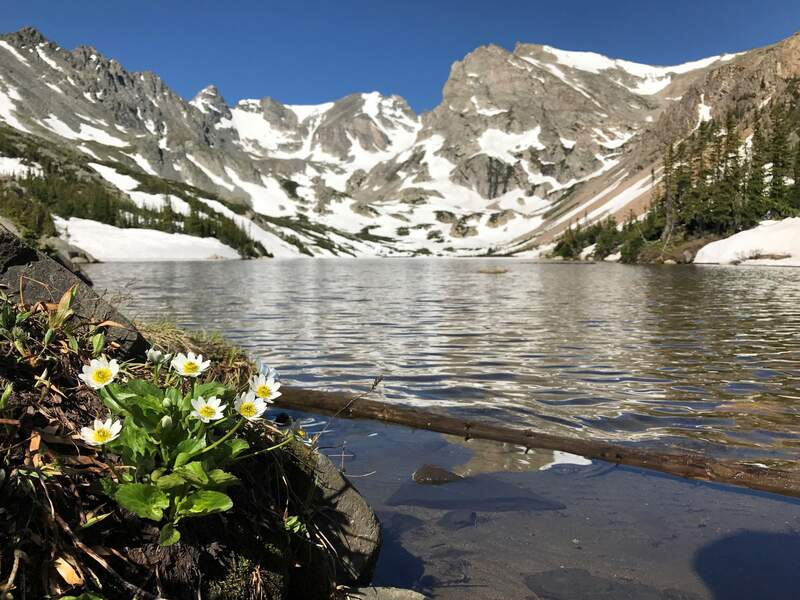 You can also hike a short bit off trail up to the railroad tracks which travel from Denver up through Moffat Tunnel to Winter Park and beyond. 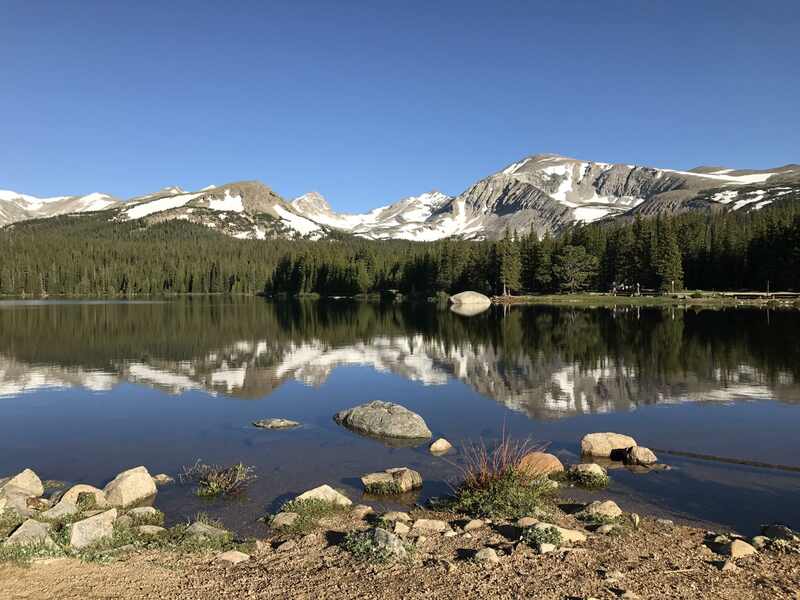 You can park down by the main entrance and hike the road up to the trail, or if you get there early (before 8am) you may be able to find parking at the trail head. The path heads east and then turns back west. The trail you walk was actually the road up to the hotel. 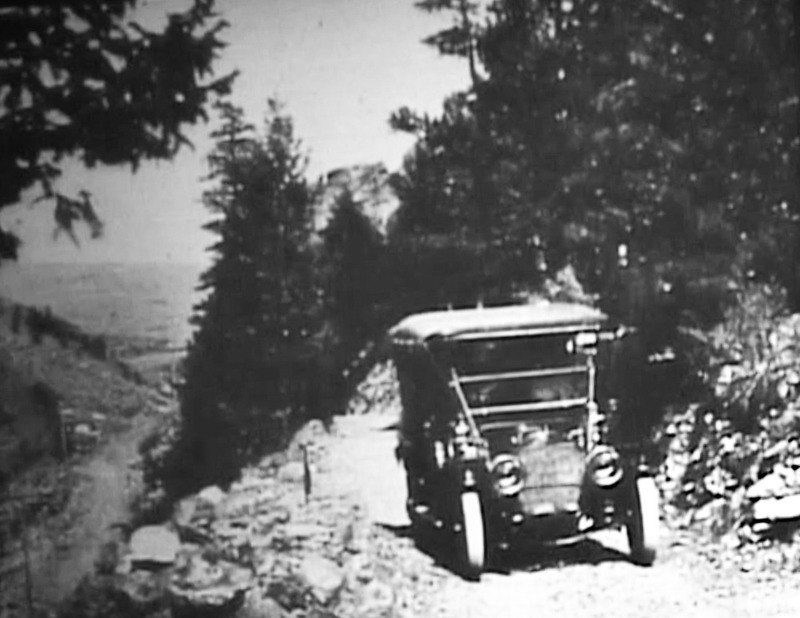 As you hike up you’ll wonder how the hell they drove cars up what is now a rocky path. how did they drive up here? 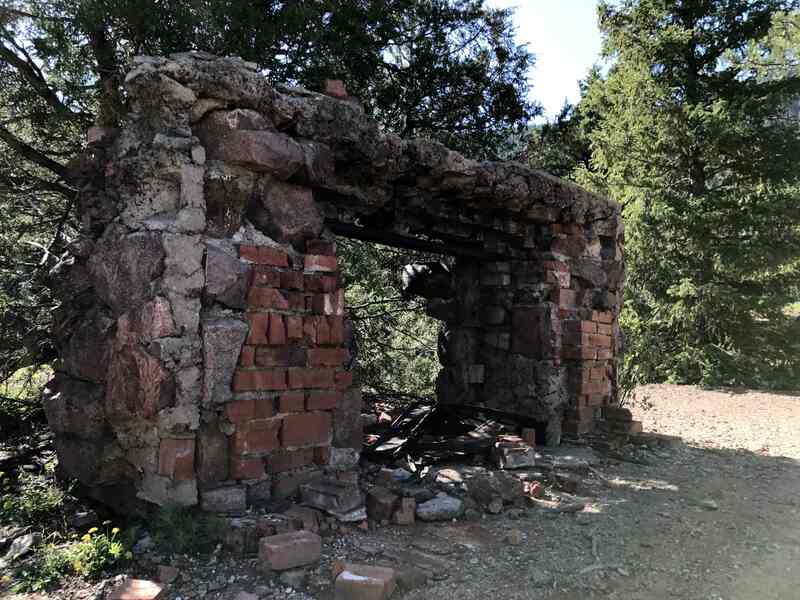 About a mile up the trail you’ll arrive at the ruins of the hotel which is introduced with a sign. 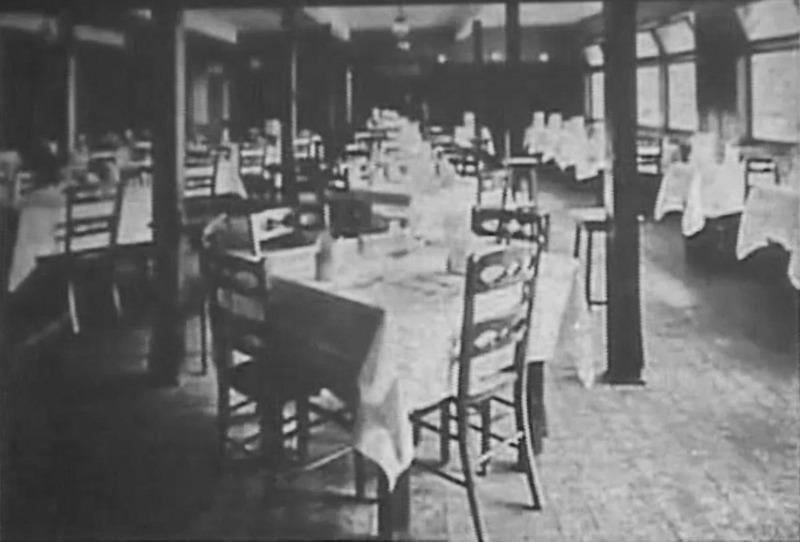 The original Crags Hotel was built pre-1900 and then expanded in 1908 and operated until it burned down in November, 1913. Wealthy people from around the country came to stay. The hotel had telephone service (although no electricity), and a room cost $2 / night. In addition to driving Crags Blvd / Moffat Road, there were two additional ways to get to the hotel. You could take the train stop above and walk down. Or, you could pay to take the funicular up. I love that word. Funicular. The cause of the fire was never determined, although there was speculation that it was intentionally set to collect insurance money. It was never rebuilt. There isn’t much there anymore – only a bit of foundation, and the remnants of a large fireplace. You can also see the empty bowl of the old fountain. 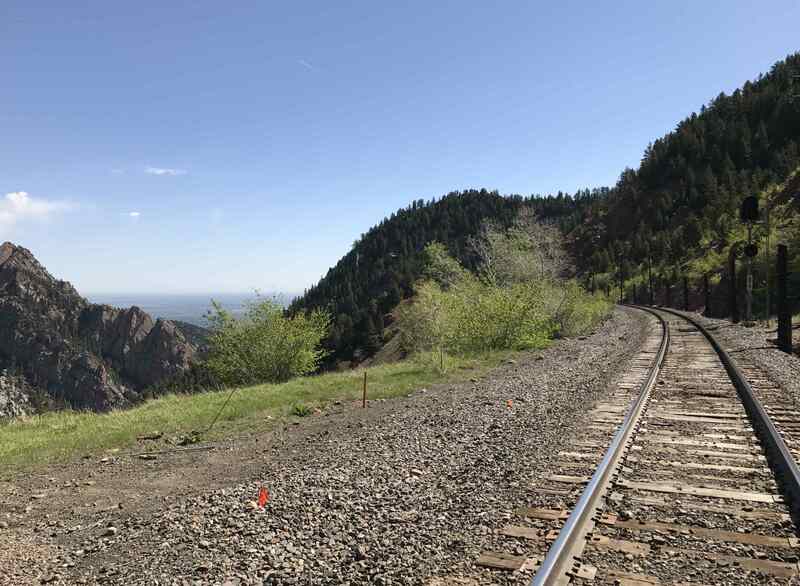 After another mile you’ll hit the top of the trail and a short offshoot to the railway, which is now called the Denver and Rio Grande Railroad. Views up there are quite stunning. 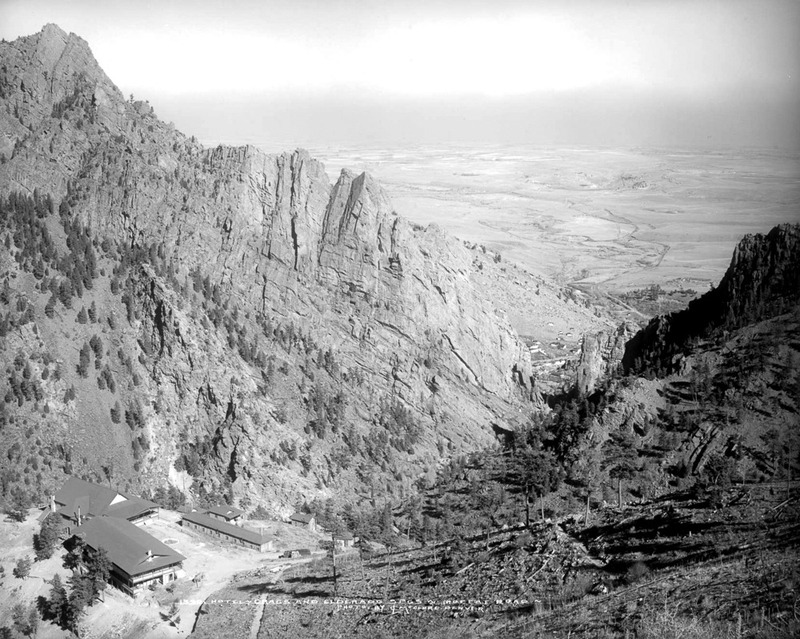 Thanks to the Boulder Public Library, Carnegie Branch for access to a recording of a wonderful lady, Helen Kneale, who grew up in Eldorado Springs and shared her pictures and history before she passed away in 2013. I need to thank three great guys for helping me get into mountain biking and bike packing, two whom I’ve known for almost thirty years. First, a little ancient history. I’ve been riding wheeled things all my life, back to growing up in upstate New York, riding my trike around and climbing trees. In middle and high-school I rode a sweet Schwinn Caliente 10 speed to throw papers every morning at 5:30 am. Much to my kids chagrin, I still wake them up around that time to do hikes on summer weekends. When I graduated from UT Austin in 1988 I felt the need to get back to Colorado and was lucky to land a software engineering gig with Digital Equipment Co (DEC) in Colorado Springs. There I met Jon and Greg who introduced me to this new thing called mountain biking. This was the stone age, pre-suspension and clipless pedals, but instead hard tails, hard fronts, toe clips. And fanny packs and mullets. Yes, don’t forget the mullets. My first mountain bike was a Nishiki Pinnacle. Made of steel, I think it weighed like 1000 lbs. 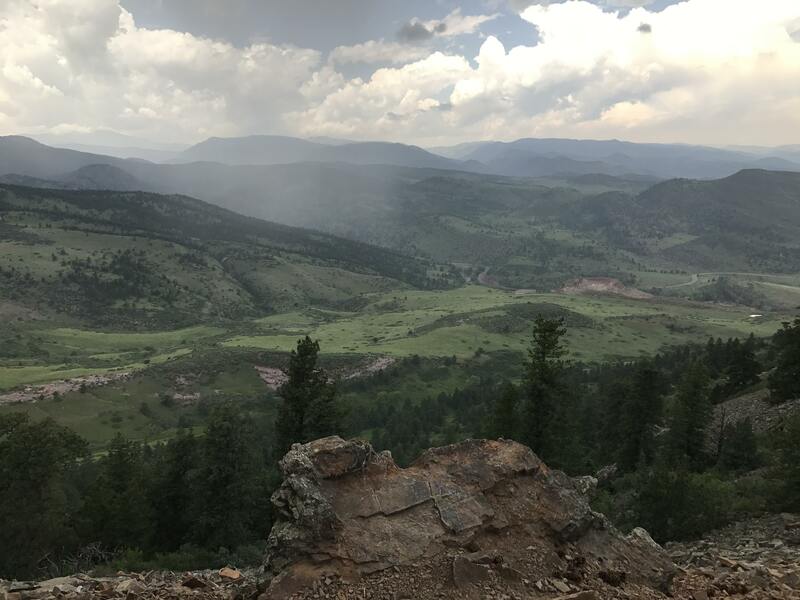 Jon, Greg and I had a blast climbing Barr Trail up Pikes Peak and bombing down the forest trail catching air off each “whoop-dee-do.” Or climbing up Cheyenne Canyon and riding the granite marbles and sand down Captain Jack’s. In ’93 Cris and I moved to Portland, OR, then to San Jose, CA during the dot-com boom, and back to Colorado in 2000. During this time we were all riding whatever we could, as much as we could with growing families. Jon himself got into biking with the help of his older brother Joe, who worked at Pedal Power, a bike shop outside of Vail. Joe tragically died on a bike when hit by a cement truck in September, 2000 at only 37 years old. Jon and Joe were training for 24-Hours of Moab at the time and less than 2 weeks out. One of the Pedal Power shop mechanics joined the team to ride for Joe, and they took 5th out of 120 open teams. 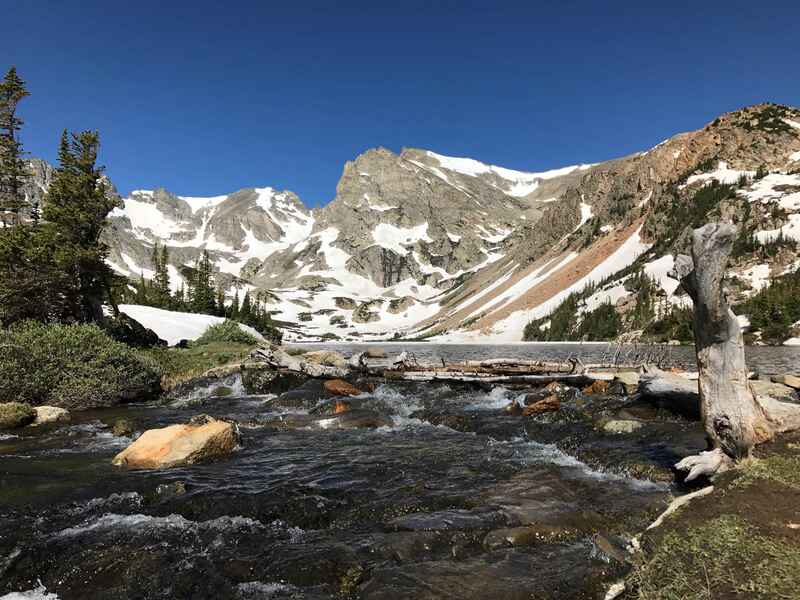 Last year I contacted Jon for advice on the Colorado Trail and he hooked me up with Nick Thelen, a racing buddy in the Springs who had completed the CT race. Nick is a wicked fast rider who raced with Jon and Greg as team Monumentally Afflicted and dominated the 24 Hours of ERock event between Castle Rock and Colorado Springs, winning seven out of eight years. Nick was kind enough to give me a complete walk through of all his equipment, how it was packed, and where it went on the bike. Nick has been a major help over the last six months with advice, and I know I wouldn’t be as prepared to ride the CT without him. Thanks to you all for being such great friends. 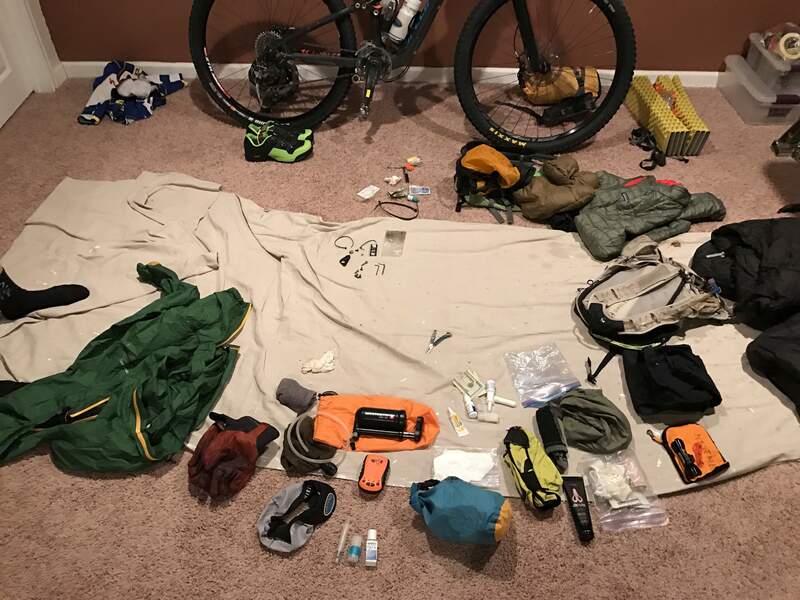 My son Kyle and I are in final prep to bikepack the Colorado Trail next month, riding every day. Yesterday I convinced him to do the Picture Rock / Wild Turkey Loop in Lyons, CO, which is my favorite ride on the front range. I’ve been jonesin to do this for weeks, but the trail has been closed because of wet sloppy conditions from all the spring snow and rain. 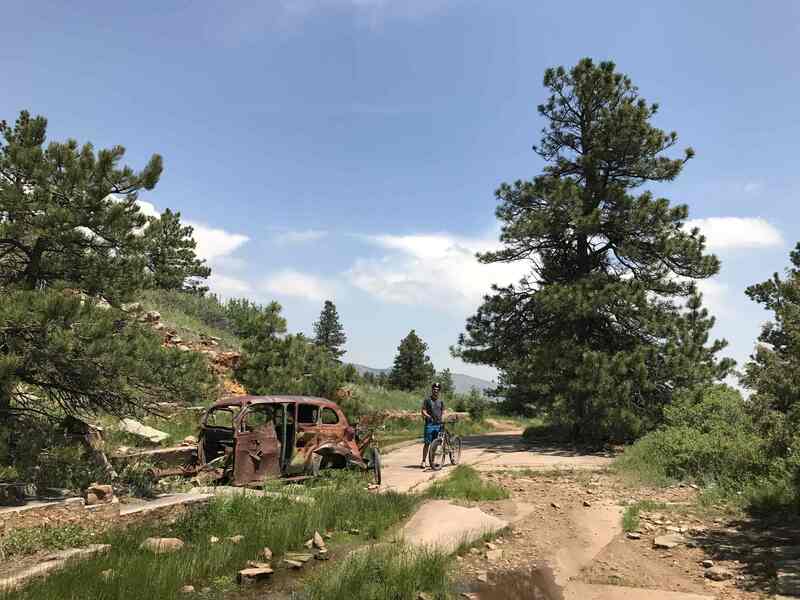 Kyle wasn’t as psyched as I was, as he had done this last year with his high school mountain bike team and struggled with the technicality of the trail – there is quite a bit of rock hopping. I said, “Dude, you’ve put on 6 inches and 30 lbs of muscle, you’ll do fine.” Sure enough, he was ahead of me the whole uphill. He’s still skittish about the downhill, but by the end of July after 500 miles of bikepacking and nearly 100,000 ft of descent, I suspect he’ll be in prime shape to return to his team practice in August. One of the highlights of the trail is passing by an old homestead with a circa 1930s car aside the trail. does anyone know the make/model? At the top of the loop you hit a rock outcropping with great views. As we approached we heard thunder, despite the forecast of no rain. We took a few photos and hightailed it down the hill, but still got caught in a rainstorm that soaked us to the bone. I was out in front on the descent and after turning a corner nearly ran over this. He’s lucky I was going slow because of the rain. 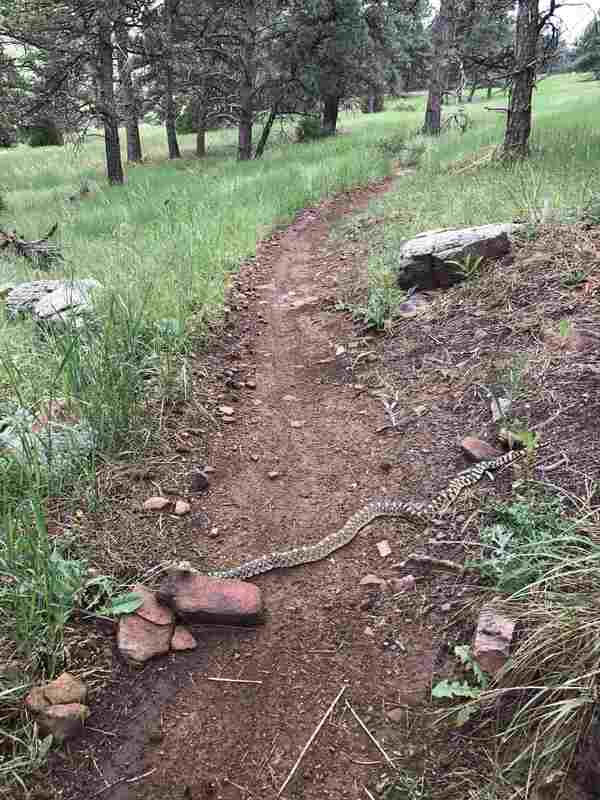 Kyle and I have run over many snakes on our bikes, and I don’t think they do well afterwards. 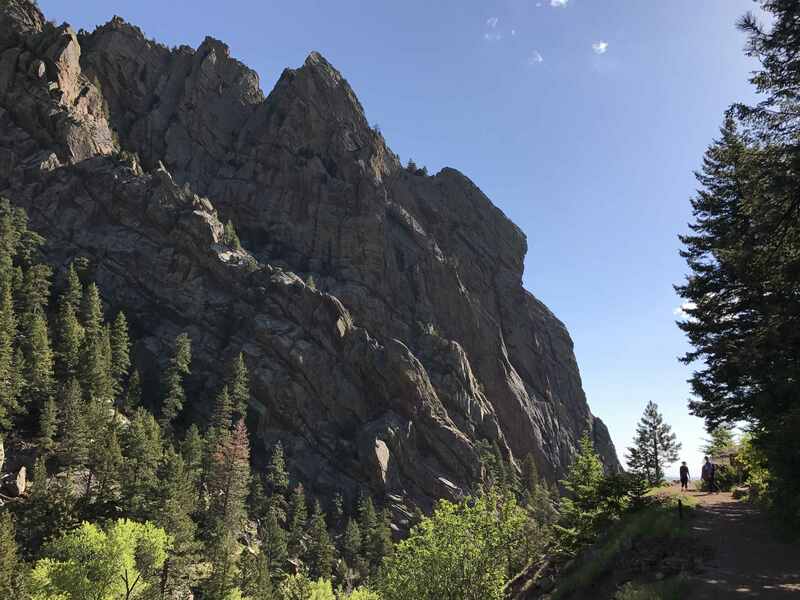 Eldorado Canyon State Park is just a few miles south of Boulder and offers over 1000 rock climbing routes and a few good hiking trails. 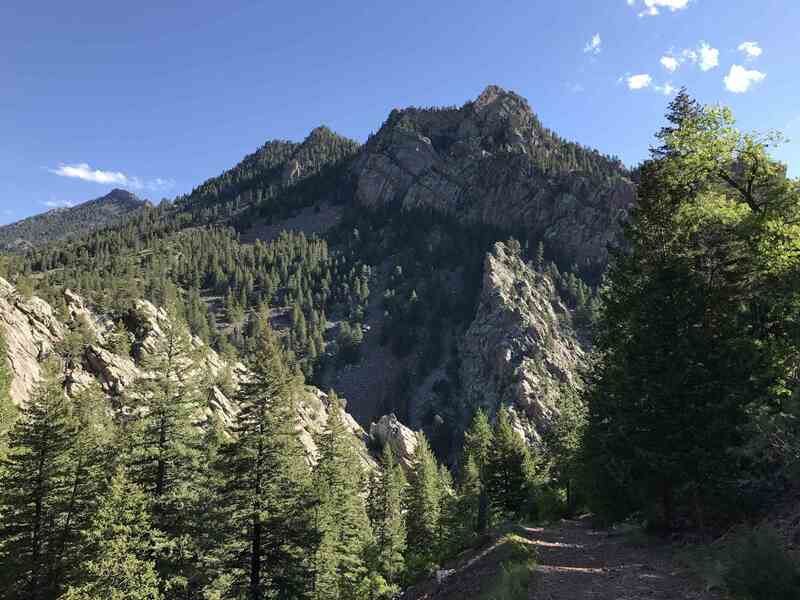 Today we hiked the aptly named Eldorado Canyon Trail a few miles out and back. 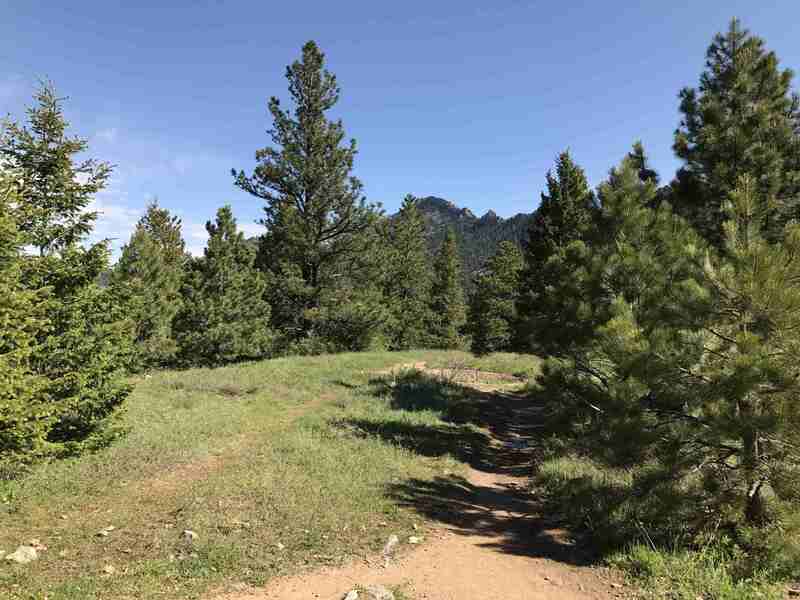 If you were to hike the whole trail, you’d end up at Walker Ranch.